There are several steps that must be done prior to installing Footprints v12. The following is the list of these pre-requisites and the supporting links to the document(s) that detail out the steps and provide further information. Please perform the steps below in the order listed. Note that for better performance, the Tomcat server should be set to use at least 8gigs of RAM on the Application Server. Therefore, we recommend no less than 12gigs of RAM on the Footprints Application server. 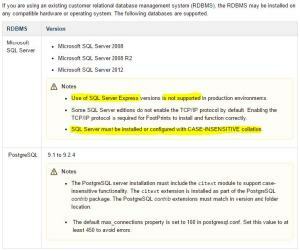 It is also recommended that the Application and the Database server be 2 separate servers. 2. 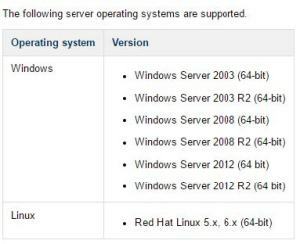 For Windows systems, modify the Terminal Services configuration options as follows: On the application server, navigate to HKEY_LOCAL_MACHINE\\SYSTEM\\ CurrentControlSet\\Control\\Terminal Server. Set the PerSessionTempDir and DeleteTempDirsOnExit options to 0. If you do not modify these settings before installation, the installation will halt while you do so.